Coan, Payton & Payne, LLC is pleased to announce that Carol S. Raznick has been promoted to an Equity Member of the firm. 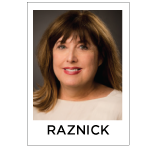 Ms. Raznick’s legal practice focuses on all aspects of commercial real estate, homebuilding, financing, mergers and acquisitions and general business. Lathrop Gage promoted Alex Clayden to Partner status, effective January 1, 2018. 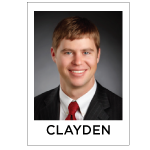 Clayden represents individuals and businesses in intellectual property and complex commercial litigation. 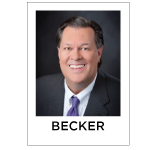 Douglas Becker, a long-time Denver tax attorney, was recently elected as a Fellow of the American College of Tax Counsel. Doug is a former chair of the CBA Tax Section and is an Adjunct Professor at the University of Denver Graduate Tax Program. Kirch and Rounds, P.C. is pleased to announce that Emily L. Bowman has been made a partner with the firm. 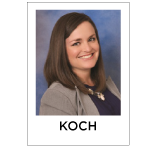 The firm will now be known as Kirch Rounds & Bowman PC and will continue to practice in the areas of Estate Planning, Estate Administration, Elder Law, Real Estate, Tax Planning, and Trust and Estate Litigation. The firm is also pleased to announce that Gerard “G” Deffenbaugh has joined the firm as an Associate Attorney. 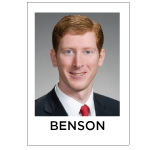 Business attorney Eric R. Benson has been named a shareholder and director at the Colorado law firm, Ireland Stapleton Pryor & Pascoe, PC. 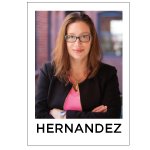 Christine M. Hernandez of Hernandez & Associates, P.C. was named the President Elect (Presidency of 2019) of the Colorado Hispanic Bar Association. She was also selected to receive the Hispanic National Bar Association’s prestigious “Top Lawyers Under 40” Award. Arnulfo D. Hernandez and Christine M. Hernandez of Hernandez & Associates, P.C. were selected as Top Latino Lawyers in 2017 by Latino Leaders Magazine. 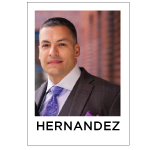 Arnulfo D. Hernandez of Hernandez & Associates, P.C. was selected as one of Denver’s Top Lawyers in immigration law by 5280 Magazine. Hearn & Fleener, LLC, located in Downtown Denver, recently added two new associates to their construction defect practice. Sean Wells and Michael Matthews are both experienced attorneys who bring different skill sets to the firm. 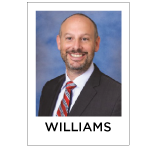 Wells is an experienced litigator with a focus on both prosecution and defense of construction defect claims, community association law and environmental law. Matthews was previously a clerk in Colorado’s 18th Judicial District, Arapahoe County District Court. 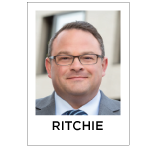 He brings significant writing, procedural and litigation experience to the team. Marsha Piccone, a partner at Rollin Braswell Fisher LLC (RBF Law) was named a Top Appellate Lawyer by 5280 Magazine in 2018. Martin A. Stuart, a partner of McDermott Stuart & Ward LLP, was named a Top Criminal Defense Lawyer by 5280 Magazine in 2018. 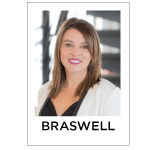 Maritza Dominguez Braswell of Rollin Braswell Fisher LLC (RBF Law) was named to the 2017 Top Latino Lawyers list published by Latino Leaders Magazine. She has also been named one of the Top 25 Most Powerful Women in 2018 by the Colorado Women’s Chamber of Commerce. Merchant & Gould, a national intellectual property (IP) law firm with clients in the Rocky Mountain region, is pleased to announce the promotion of Denver attorneys Dana Jozefczyk and Marianne Timm-Schreiber to partner. Jozefczyk specializes in brand management and development, with particular focus on the value and protection of trademarks and copyrights. 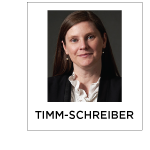 Timm-Schreiber’s practice emphasizes client counseling in IP portfolio management, patent prosecution, opinion work, IP due diligence, and trademark and copyright protection. 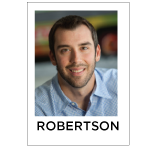 Michael P. Robertson has been promoted to a partner of Reilly Pozner LLP. Michael’s trial and litigation practice is focused on complex business disputes, fiduciary litigation, and accountant malpractice matters. 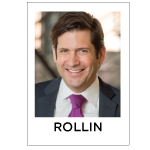 Michael A. Rollin of Rollin Braswell Fisher LLC (RBF Law) has been named a “2017 Lawyer of the Year” by Law Week Colorado. Ryley Carlock & Applewhite is pleased to announce that Dylan Metzner has been elected as a Shareholder. Dylan helps individuals and families throughout the United States as well as internationally with their private wealth planning. Samuel Bacon and Sarah Sorum became shareholders at Welborn Sullivan Meck & Tooley, P.C. effective January 1, 2018. 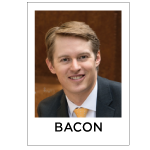 Mr. Bacon is a member of the firm’s litigation group. 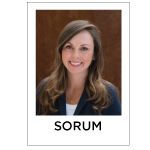 Ms. Sorum is a member of the firm’s Mineral Title & Oil and Gas practice groups. 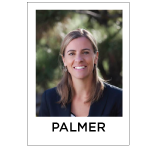 Elkind Alterman Harston PC is pleased to announce that Camila S. Palmer has become a Partner of the firm, effective January 2018. Grace A. 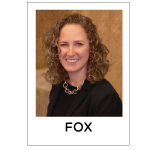 Fox has joined Welborn Sullivan Meck & Tooley, P.C. as an associate in the litigation department. Ms. Fox represents clients in complex commercial actions at both the trial and appellate levels. 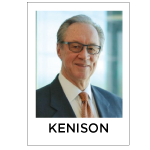 Jones & Keller is pleased to announce that Howard Kenison has joined the firm as Shareholder. Howard specializes in environmental law and litigation. 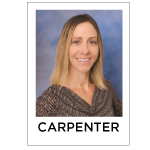 He represents clients in all areas of environmental law, including litigation before federal and state courts as well as regulatory matters involving government agencies. 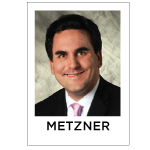 He also provides advice and counsel regarding environmental issues in commercial transactions. 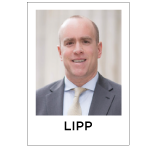 Childs McCune LLC, one of Colorado’s premiere litigation boutique firms, announced today that leading product liability litigator Jordan Lipp, formerly of Davis Graham & Stubbs, has joined the firm as a managing member. Jordan is the author of Product Liability Law & Procedure in Colorado, First Edition (CBA-CLE Books 2015). 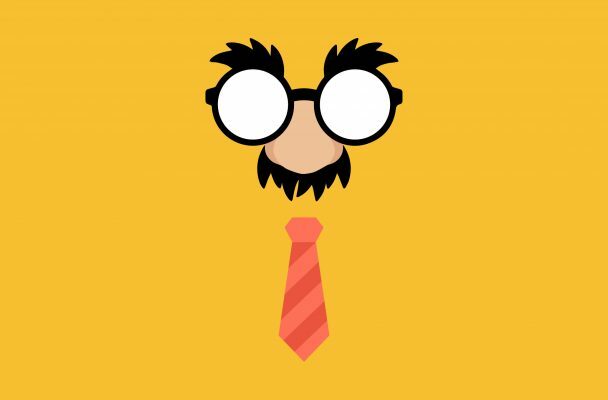 He is also an adjunct law professor at University of Denver’s Sturm College of Law, where he teaches outdoor recreation and ski law. Luke Ritchie has joined Moye White and will continue to focus his litigation and trial practice on defending financial services clients, companies, and individuals in regulatory investigations and business disputes. Nancy L. Peterson has joined Welborn Sullivan Meck & Tooley, P.C. as Special Counsel. 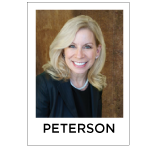 Ms. Peterson’s practice will specialize in estate planning, probate, trust administration, guardianships and conservatorships. 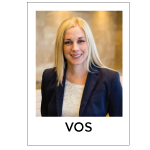 Spencer Fane LLP is pleased to announce that Kelly Vos has been elected as a partner effective Jan. 1, 2018. Vos advises clients in a variety of complex real estate matters, including acquisitions and dispositions, commercial leasing, real estate-based lending, foreclosures and workouts, and tax-deferred exchanges. 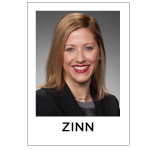 Alison Zinn, a partner in Lathrop Gage’s Wealth Strategies practice, was appointed by Colorado Governor John Hickenlooper to the Judicial District Nominating Commission for the 1st Judicial District. Hutchinson Black and Cook LLC welcomes Colleen M. Koch. Colleen will join the firm’s nationally-recognized Title IX practice group. She will also focus on personal injury and general commercial litigation. Hutchinson Black and Cook LLC welcomes Lisa Wilcox. 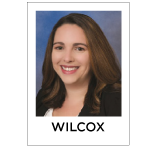 Wilcox serves as the Secretary for its New Lawyers Subcommittee. Lisa will focus her practice on estate planning and probate administration. Hutchinson Black and Cook LLC welcomes Lauren E. Carpenter. At HBC, Lauren will emphasize corporate work, business transactions, mergers and acquisitions, financing and counseling emerging companies. Hutchinson Black and Cook LLC welcomes Daniel D. Williams. Formerly a partner with and co-founder of Williams & Daley, he brings to the firm over 17 years of litigation experience in a wide variety of commercial, business, securities and consumer disputes. 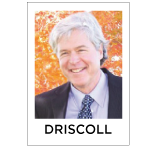 Hutchinson Black and Cook LLC welcomes David J. Driscoll, formerly a partner with and co-founder of Garlin Driscoll LLC. David’s practice emphasizes complex commercial litigation, plaintiff’s personal injury, environmental torts, and insur­ance litigation of all types.